Professor Kenneth Dawson Bagshawe CBE FRCP FRCOG FRCR (born 17 August 1925), FRS is a British oncologist, and Emeritus Professor of Medical Oncology, at Charing Cross Hospital. He worked at St Mary's Hospital Medical School from 1946 to 1952, and subsequently became a Research Fellow at Johns Hopkins Hospital, in Baltimore, United States, in 1955. From 1960 he was Senior Lecturer in Medicine at Charing Cross Hospital Medical School, and Professor of Medical Oncology there from 1975–1990). 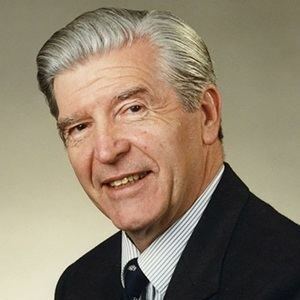 He served as chair of the Cancer Research Campaign's Scientific Committee from 1983–1988). He was elected a Fellow of the Royal Society (FRS) in 1989, and was made a Commander of the Order of the British Empire (CBE) in the 1990 Birthday Honours.